Studio One owners looking for a simple multitrack capture-and-transfer solution should obviously be interested, but even they're likely to be disappointed by the lack of functionality. Ease of use. Wireless transfer works beautifully. Very basic functionality - you can't even adjust the levels in the app! Should be free. 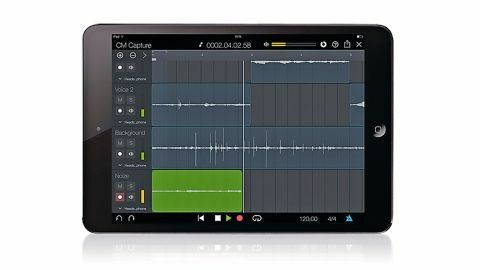 Capture is a very simple multitrack recording app is aimed first and foremost at users of PreSonus' Studio One Mac/PC DAW. "Its headline feature is wireless transfer of projects to Studio One"
To that end, its headline feature is wireless transfer of projects to Studio One, which works beautifully - although given the extreme simplicity of what's being transferred, that's no surprise. The problem is that all Capture does is record and play back multiple audio streams, with editing limited to resizing, duplicating and repositioning of clips, and no processing or mixing whatsoever. It's smooth, responsive and effortless to use, but it just doesn't let you do enough to warrant even this small a pricetag. Ultimately, as well made as Capture for iPad is, it feels like it should be free.